The research tests the effects of egalitarian ballot access on the electoral fortunes of non-major party candidates for U.S. House seats. In 1998, Florida voters passed an amendment to the state constitution that removed all auxiliary barriers to ballot access for non-major parties. In bivariate and multiple regression testing, the reform is associated with a statistically significant increase in the number of non-major party candidates and their vote-share. The change, however, is small. Moreover, these increased contestation rates and vote support occur primarily in the first election cycle after the reform was adopted. Output from Tobit and GLS regression suggests that the best case scenario is about a 1.3 percent increase in the non-major party vote share in U.S. House races in Florida. The study concludes that states pursuit of egalitarian ballot access laws will not likely create substantive expansion of minor-party electoral success. 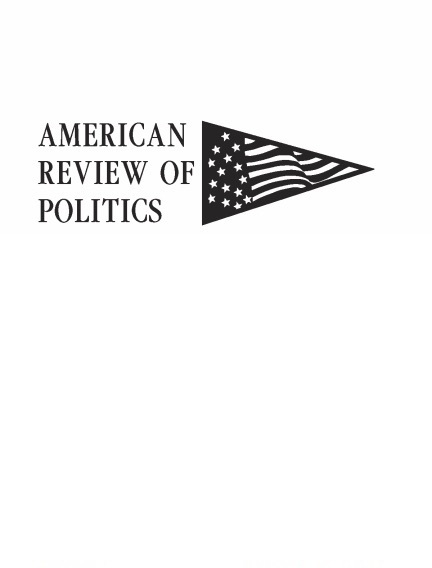 APSA (American Political Science Association) Committee on Political Parties. 1950. Toward a More Responsible Two-Party System. American Political Science Review 44 (Supplement). Boehlert, Eric. 2000. Al's Ballot Blues. November 16. http://archive.salon.com/politics/feature/2000/11/16/ballots/print.html (November 12, 2007). Cobble, Steve, and Sarah Siskind. 2003. Fusion: Multiple Party Nominations in the United States. Washington, DC: Center for a New Democracy. Dubin, Michael J. 2007. Party Affiliations in the State Legislatures: A Year by Year Summary, 1796-2006. Jefferson, NC: McFarland and Company. Dwyre, Diana, and Robin Kolodny. 1997. Barriers to Minor Party Success and Prospects for Change. In Multiparty Politics in American, eds. Paul S. Herrnson and John C. Green. Lanham, MD: Rowman and Littlefield Publishers, Inc.
Evans, Eldon C. 1917. A History of the Australian Ballot System in the United States. Chicago: University of Chicago Press. Florida Constitution Article VI. Sections 1, 2, 5, 7. 1968. Revised by Revision No. 11, 1998. Florida Department of State. Division of Elections. 1998. Election Results. 3 November 1998. http://election.dos.state.fl.us/elections/resultsarchive/Index.asp?ElectionDate=11/3/1998&DATAMODE= (November 1, 2007). Herrnson, Paul S. 1997. Two-Party Dominance and Minor Party Forays in American Politics. In Multiparty Politics in American, eds. Paul S. Herrnson and John C. Green. Lanham, MD: Rowman and Littlefield Publishers, Inc.
Long, J. Scott. 1997. Regression Models for Categorical and Limited Dependent Variables. Thousand Oaks, CA: Sage Publications. Lowi, Theodore J. 1999. Toward a Responsible Three-Party System: Plan or Obituary? In The State of the Parties, ed. John C. Green and Daniel M. Shea. Lanham, MD: Rowman and Littlefield, Inc.
Marquez, Myriam. 1998. Want to live in a True Democracy? Vote for Open Elections. Orlando Sentinel, September 14. Mazmanian, Daniel A. 1978. Moving Outside or Around the Two-Party System: Minor Parties in Presidential Elections. In Parties and Elections in an Anti-Party Age, ed. Jeff Fishel. Bloomington: Indiana University Press. O.Neil, Deborah. 1998. Minor Parties Push for Equal Access to Ballot. St. Petersburg Times, August, 3. Perez, Robert. 1998. Polling Sites Could Get Crowded. Orlando Sentinel, November 12. Polsby, Nelson W., and Aaron Wildavsky. 1996. Presidential Elections: Strategies and Structures in American Politics, 9th ed. Chatham, NJ: Chatham House. Ranney, Austin, and Willmoore Kendall. 1956. Democracy and the American Party System. New York: Harcourt and Brace. Rosenkranz, E. Joshua. 1996. Voter Choice .96: A 50 State Report Card on the Presidential Elections. New York: Brennan Center for Justice at New York University School of Law. Rosenstone, Steven J., Roy L. Behr, and Edward H. Lazarus. 1996. Minor Parties in America, 2nd ed. Princeton, NJ: Princeton University Press. Schattschneider, E. E. 1960. The Semi-Sovereign People: a Realist's View of Democracy in America. Hinsdale, IL: The Dryden Press. Schmidt, David D. 1989. Citizen Lawmakers, the Ballot Initiative Revolution. Philadelphia: Temple University Press. Sifry, Micah L. 2002. Spoiling for a Fight: Minor-Party Politics in America. New York: Routledge. Sommerville, Richard, and Christina Clemenson. 1998. Improving Ballot Access in Florida. Green Party of Florida Fall 1998. http://www.greens.org/s-r/17/17-05.html (November 22, 2007). Tamas, Bernard, and Matthew Hindman. 2007. Do State Election Laws Really Hurt Third Parties? Ballot Access, Fusion and Elections to the U.S. House of Representatives. Paper presented at the Midwest Political Science Association. Chicago, IL. Winger, Richard. 1997. Institutional Obstacles to a Multiparty System. In Multiparty Politics in American, eds. Paul S. Herrnson and John C. Green. Lanham, MD: Rowman and Littlefield Publishers, Inc.
Winger, Richard. 1998a. Florida Commission Backs Abolishing Petitions. Ballot Access News 13(10). Winger, Richard. 1998b. Florida Voters Wipe Out Mandatory Petitions. Ballot Access News 14(8). Winger, Richard. 1999. Ballot Access: a Formidable Barrier to Fair Participation. Available at: www.ballot-access.org/winger/fbfp.html (June 10, 2008).